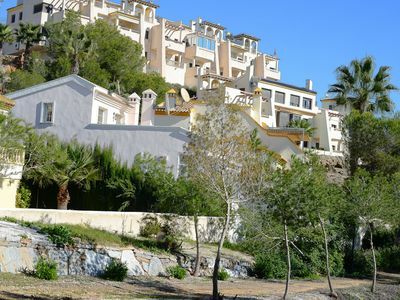 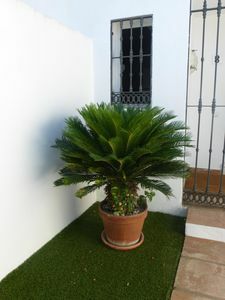 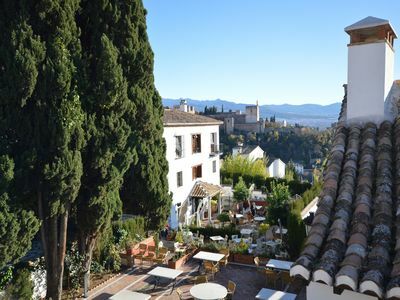 This gorgeous 3 bed apartment is situated in Eagle village in La Quinta Nueva Andalucia. 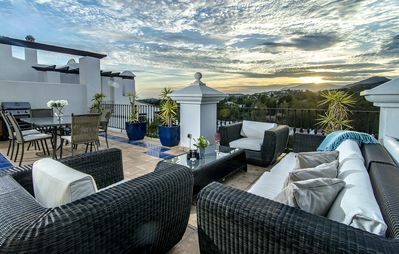 Only minutes by car to both Puerto Banus & San Pedro. 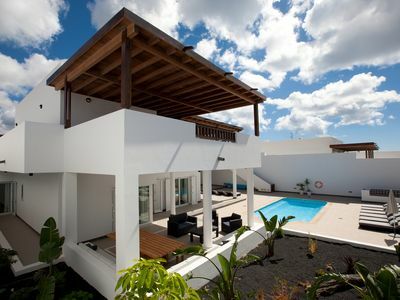 Master bedroom is on the second floor while the other 2 is just next to the livingroom. 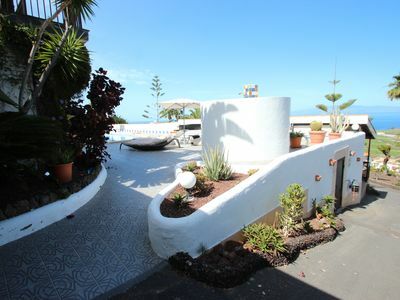 Fully equiped kitchen, lovley SWIMMING POOL (shared), Big terrace, BBQ, AC, Wi-Fi, Stunning views over golf course, mountains and sea. 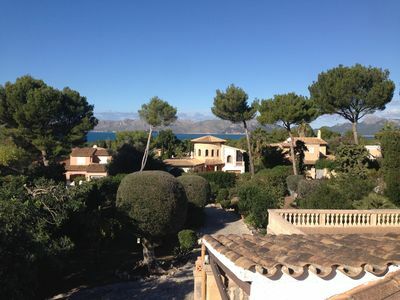 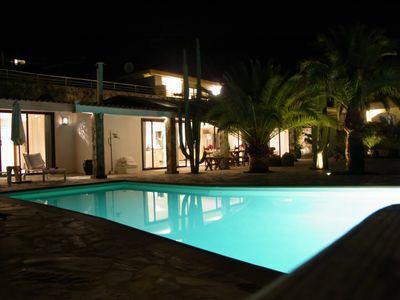 Close to the apartment youi find nice restaurants, SPA, golf courses, bars etc etc. 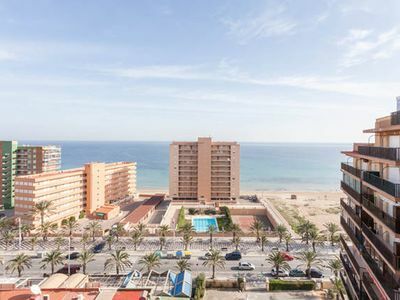 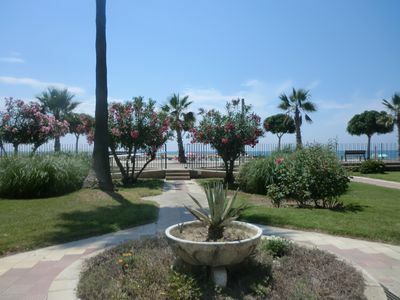 Charming flat in front of the sea! 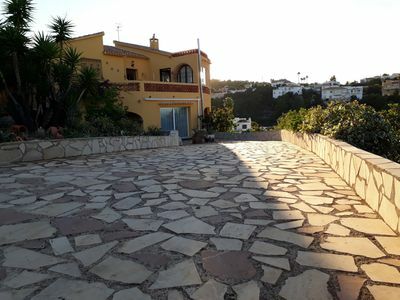 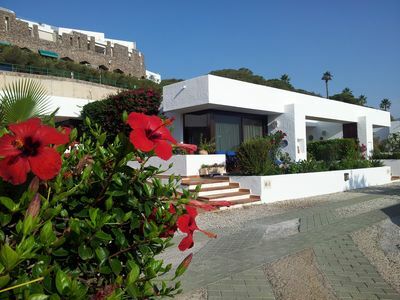 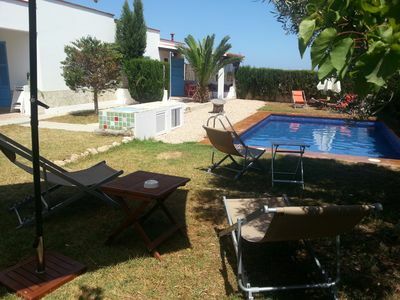 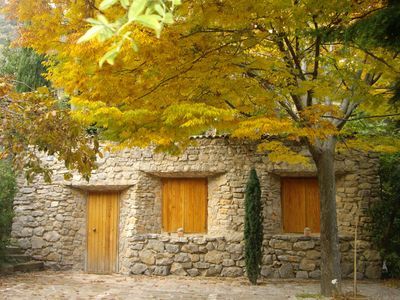 1 to 2 family villa with stunning 180 ° sea view on BergMontgó, very quiet!